GRASSGRO® is a CSIRO developed computer program that models the returns and productivity of different sheep and beef cattle enterprises over the long term. It uses soil, weather data, financial data and animal production traits to simulate a grazing system. GrassGro® calculates animal production and subsequent financial performance for each year and presents the average for the simulated period as well as the variation in results over the simulated period. 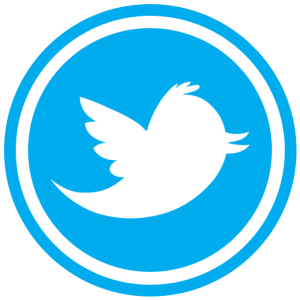 GrassGro® has been validated numerous times in different Australian locations (Donnelly et al. 2002). Prices were based on real (inflated adjusted) prices for wool based on weekly AWEX quotes for the last 10 years to reflect the normal variation in economic activity that impacts on the demand for wool. There was no wool stockpile sales in this 10 year period so that abnormal supply was not detrimentally affecting prices, something that would not be anticipated to occur in the future. Meat prices were based on the last 10 year real (inflation adjusted) meat prices as quoted by MLA. The simulations were based on the three flocks grazing highly improved and fertilized perennial ryegrass and sub clover pastures at Hamilton VIC, phalaris and sub clover pasture at Kybybolite SA and an annual grass and medic pasture at Roseworthy SA. These three locations were chosen to provide a comparison of performance at higher rainfall (approximately 685mm, 525mm, and 490mm respectively). 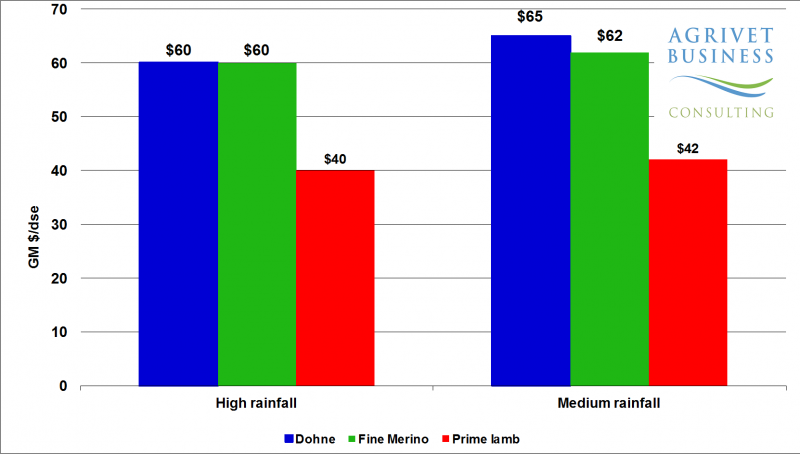 THIS ANALYSIS modelled the Dohne, fine wool Merinos and a crossbred Prime Lamb enterprise run in three different environments and found the Dohne is more profitable based on the last 10 year prices whether it is being run in high, medium or low rainfall environments. It would appear that the adoption of objective measurement and modern breeding tools has meant that the breed’s objective has been well implemented over the last 50 years. The gross margin performance over the three sheep enterprises in the three different locations is summarised in Figure 1. The Dohne is the most profitable in all three locations, with the order of the enterprises unchanged depending on the location. The profitability of the low rainfall site at Roseworthy SA is reduced due to heavy supplementary feeding due to time of lambing, which in actual fact is likely to be largely supplied at no direct cost from stubbles in this location. At the medium rainfall site all three enterprises benefited from higher lambing percentages due to better survival rates. 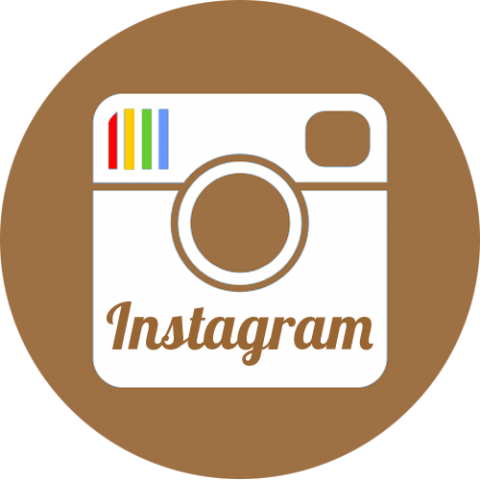 Thus benefiting the prime lamb enterprise. 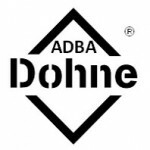 The Dohne sheep perform well in this analysis, which is not surprising given their dual purpose nature and the high prices that have been on offer for meat and wool over the last 10 years. 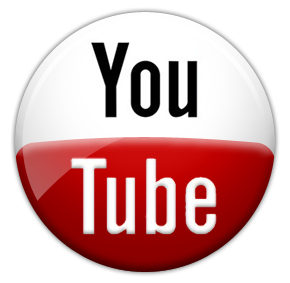 Of course, like any enterprise, poor management or animal health issues could easily erode these advantages, so to realise this potential good management inputs are required, just as it would be with the other enterprises. Further, breed averages have been analysed in this paper. Individual flocks could have better genetics in either of these three breeds, which will change the financial outcome significantly. Figure 1: The Dohne is the most profitable in all three locations. THIS report will update the paper I presented at the Global Dohne Conference in Dubbo in July 2016, with current commodity prices, rather than 10-year long term average commodity prices. As a comparison, these analyses have been updated with current wool and meat prices in place of the 10-year average prices. Despite extremely high superfine wool prices currently, which makes the fine wool Merino very profitable, the Dohne sheep still perform well in this analysis, which is not surprising given their dual purpose nature and the high prices that are on offer for meat and wool currently. It is in line with results from previous analyses that have been undertaken by this author and to an extent by Graham and White (2005), whose analysis predates recent higher wool and meat prices. The gross margin performance over the three sheep enterprises in the two different locations is summarised in Figure 2. 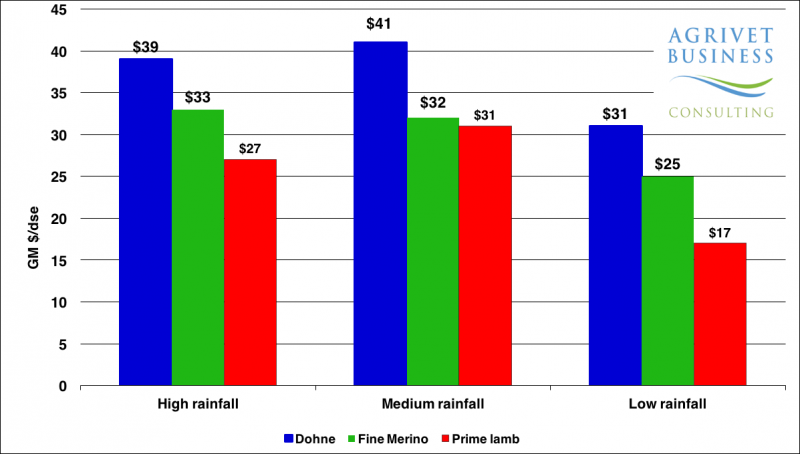 The Dohne is the most profitable in the medium rainfall location, but has the same profitability as the fine wool Merino in the high rainfall location. Lamb sales at the high rainfall location are reduced in comparison to the medium rainfall location due to higher lamb losses at lambing at the high rainfall location. More survive after lambing at the medium rainfall location. In conclusion, the Dohne stacks up well financially on current prices and its performance is testament to clearly stated breeding objective and achieving that through the efficient implementation of modern genetics tools. This analysis complements the previous analysis using 10-year average prices, published at the Global Dohne conference held at Dubbo in July 2016. Figure 2: Gross margins of three enterprises in high and medium rainfall locations.